सतनाम धर्म: Who is God ? God is conceived of as the Supreme Being and principal object of faith. 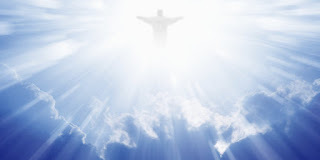 God is most often held to be incorporeal, and to be without gender, yet the concept of God actively creating the universe has caused many religions to describe God using masculine terminology, using such terms as "Him" or "Father". Furthermore, some religions (such as Judaism) attribute only a purely grammatical "gender" to God. Incorporeity and corporeity of God are related to conceptions of transcendence (being outside nature) and immanence (being in nature, in the world) of God, with positions of synthesis such as the "immanent transcendence" of Chinese theology. There are many names for God, and different names are attached to different cultural ideas about God's identity and attributes. In the ancient Egyptian era of Atenism, possibly the earliest recorded monotheistic religion, this deity was called Aten, premised on being the one "true" Supreme Being and creator of the universe. The many different conceptions of God, and competing claims as to God's characteristics, aims, and actions, have led to the development of ideas of omnitheism, pandeism,or a perennial philosophy, which postulates that there is one underlying theological truth, of which all religions express a partial understanding, and as to which "the devout in the various great world religions are in fact worshipping that one God, but through different, overlapping concepts or mental images of Him. "The concept of God as described by most theologians includes the attributes of omniscience, infinite knowledge, omnipotence, unlimited power, omnipresence, present everywhere, divine simplicity, and as having an eternal and necessary existence. Many theologians also describe God as being omnibenevolent, perfectly good and all loving.